Last week I explored the concept of niche Government to Business portals before looking at Ontario’s Export portal. That was an example of what to avoid if going down the path of a niche Government to Business portal. But this week I’m going to take you in a different direction: when a government delivers a good customer experience through a specialized Government to Business portal. Not a perfect experience, but definitely a major step up. This is based on the same premise I explored in part one when a government chooses clustering service delivery to business using niche portals rather than a single One-Stop Shop for business. By adopting this approach it also allows for a deeper, integrated approach to delivering a grants portal. Singapore’s conscious effort to bring together the authentication process and online application for multiple grants into a single transaction is one of their shining lights. Not many governments have successfully addressed this for the customer, duplicating process and systems when grants are applying for. Singapore again shows how it should be done. They also identify on their website that they’re already working on a future iterative release, expanding their grants offering by another 10 services, including an additional government agency. The Business Grants Portal delivers a fresh contemporary look and feel that is more in keeping with simple and effective design and user experience principles. Again they have done a great job of stepping away from the ordinary. They have been able to achieve this while still clearly associating the portal with Singapore Government branding. And by sitting on a .gov.sg domain it further adds credibility and trust to the customer experience when dealing with government. I also really like the simplicity of the message explaining how the service works. While it’s clear there are a number of great things with Singapore’s Business Grants Portal, it’s not a perfect experience with a couple of noticeable gaps. If these were small and inconsequential aspects I’d probably let it slide. But they are enough to flag here. This not only helps Singapore continue to improve its grants offering to business, but also helps you and your government organization if you implement a niche Government to Business portal. While the “How it works” message is simple, there’s no easy way to access information about the grants. To access the Business Grants Portal you need to have a CorpPass. This is a government authorized account for Singaporean businesses. Looking at things from one angle this is great. 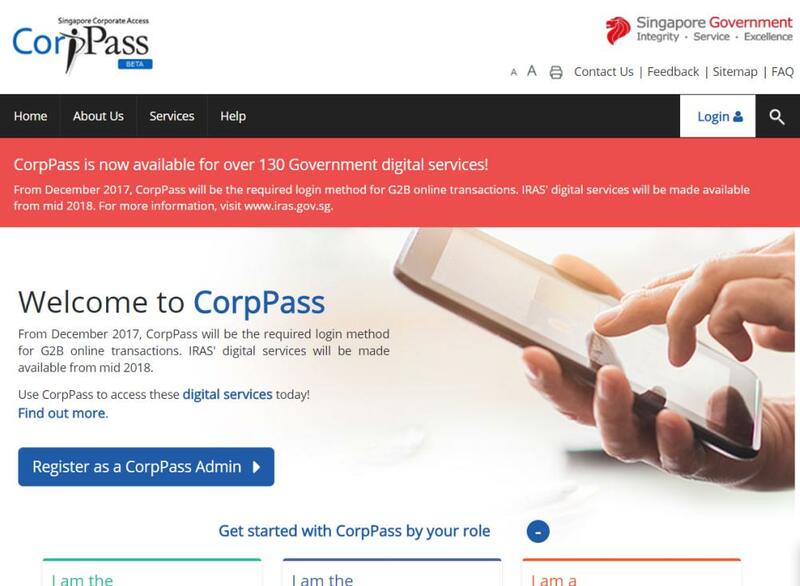 Singapore's consolidation of many business accounts to just one single account is the holy grail for many Government to Business sites! However, the process for obtaining a CorpPass is a bit of complex one. 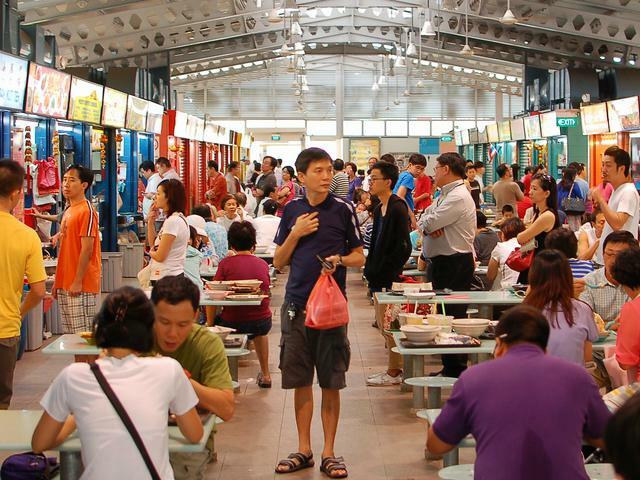 Initially you need to provide details from your SingPass - the citizen account - to prove who you are. Through a number of two-factor authentication processes you eventually get an authorization proving you have the credentials to act on behalf of a specific business. Again this is excellent in maintaining a level of security to ensure people can’t act as your business when they aren’t authorised, however it can be a lengthy series of steps. The main thing though is once you’ve done all this it should theoretically be plain sailing. But I am surprised that you have to go through all that to just access information about the six grants available on the portal. This is similar to the issue with Ontario’s Magnet Export portal: a lot of up front effort to create an account, just to access information that should be freely available without having to prove who you are. By all means have an account to submit and track your progress on your grant application. But do Singaporeans really need to create an account and log in to read information or use a diagnostic to see what you may be eligible for? And that’s why it’s a bit odd that there already is an extensive listing of 29 business grants on Singapore’s SME portal. Better yet, you don’t have to log in to read about each grant and eligibility. It’s all there. Free and easy to access. A Government Digital Services blog does mention they deliberately didn’t provide this information, instead opting for a simple 3 question process to work out what grants you were eligible for. That sounds like a step up. But again why not just bring that diagnostic tool up-front, rather than forcing businesses to log-in? And again, why not make the information available there for those who want it. It wouldn’t take Singapore a lot of effort to fix this oversight. 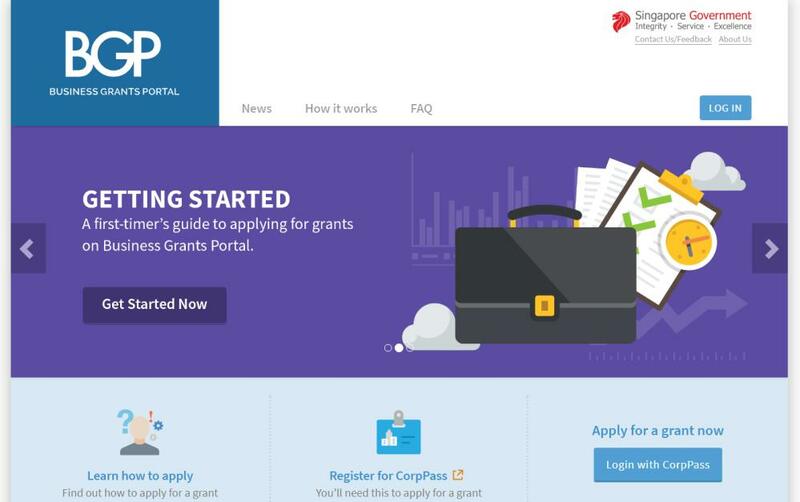 As mentioned earlier the Business Grants Portal links to the Singapore SME portal for more grants and support beyond the initial six grants available on the site. In return when you access grants listed on the SME portal, five of the six grants offered are linked from the relevant content pages. One missing, but still it’s working pretty well. But I was surprised that there was no real push beyond the detailed content level to promote the Business Grants Portal from the SME portal. It’s not mentioned on the SME portal’s grants page. It’s not even mentioned on the home page or its features. It sneaks in as a “useful link” after visiting the Resources page, and then “Useful links.” This could be improved if an integrated approach to small business needs is being adopted in Singapore. From reviewing a number of Singapore Government strategic documents there doesn’t appear to be a cohesive strategy around government portals and service delivery. It’s more an organic evolution that flows from running projects around key themes rather than an integrated one-stop shop approach to customer segments. This can be seen again for Government to Business service delivery with a separate trade niche portal in currently development. As highlighted there is considerable merit in getting customer focused offerings up as niche portals. But an integrated strategy to help tie them together need to be addressed at some point. Realistically this should be done upfront. Even without a single One-Stop Shop, a federated approach to service delivery should provide the overarching framework for Government to Business service delivery. This then gives some consistency of purpose to government departments and agencies. It ensures niche portals don't calcify into topic based silos. Having a federated strategy and supporting framework with collective governance and ownership also helps drive the strategic agenda for digital transformation in Government to Business service delivery. It makes it easier when taking the steps to better serve business customers, whether that's better integrated customer journeys across government or a One-Stop Shop for business when interacting with government. Good for business. Good for government. Good all round.